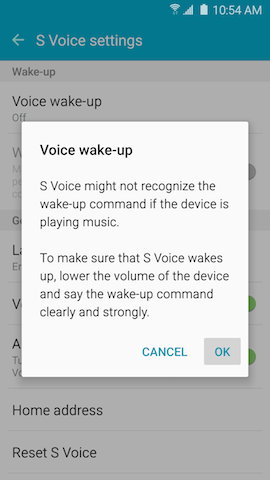 Galaxy S6: How do I setup wake up commands using S Voice on my Galaxy S6? 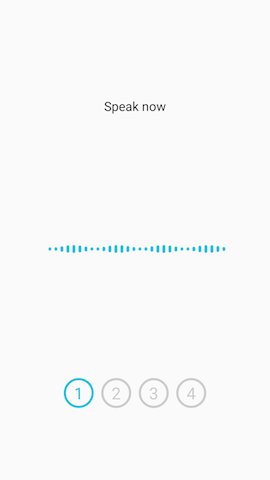 Speak commands to perform operations on your phone, and to speak criteria for searches and other operations. 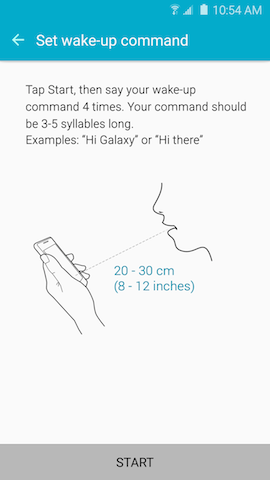 Use S Voice to find everything from directions to trivia answers to the current weather forecast. Note: This app may not be available depending on the region or service provider. 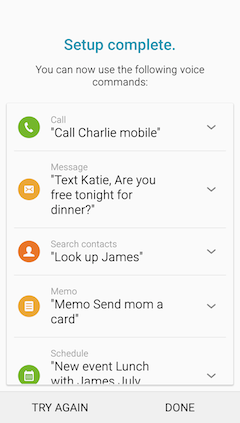 Note: This app will close automatically if the device is not used for a specified period. Make sure you speak clearly in a quiet place. 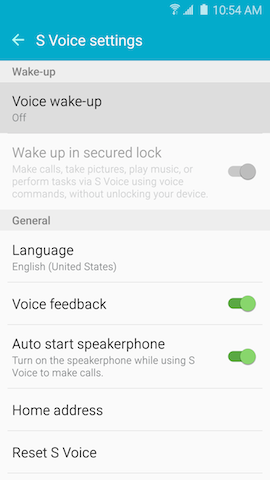 5 Read and review the information and touch OK.
6 Touch the slider to turn Voice wake-up on. 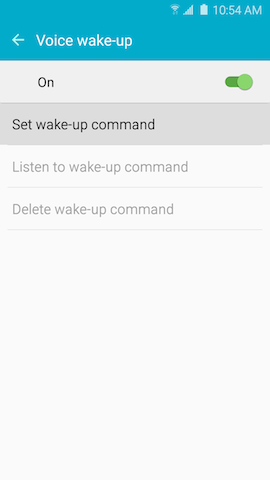 7 Touch Set wake-up command. 8 Touch Start to start the setup. 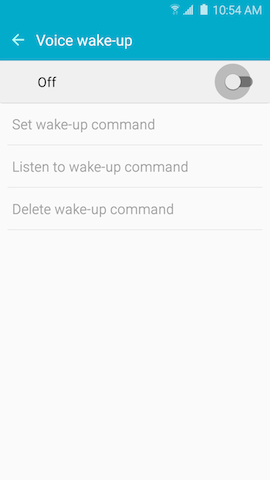 9 Say your wake up command 4 times. 10 Touch DONE to complete the setup. 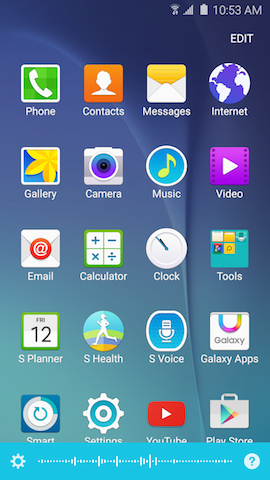 What changes have been made to activating Multi Window on my Samsung Galaxy S6?